Do you think you have a discerning eye? Are you a gumshoe at heart? Put it to the test with this unique hidden object game. 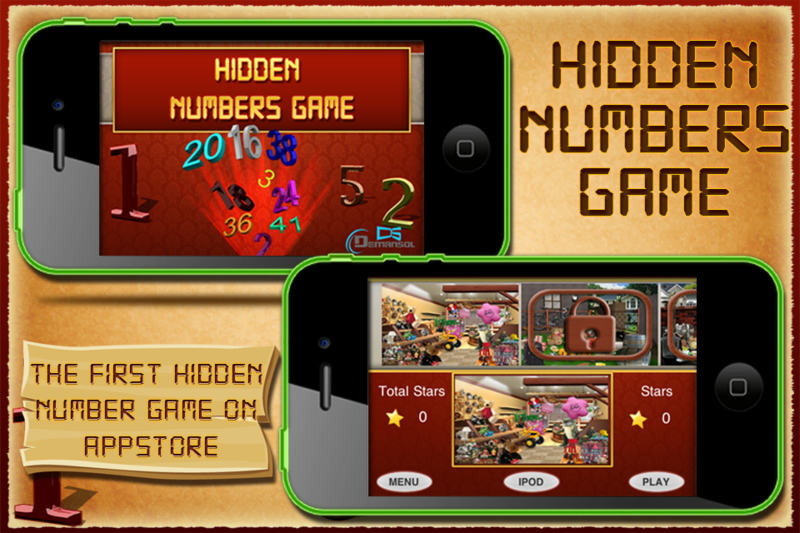 Be the first to play the first ever hidden number game on App Store. 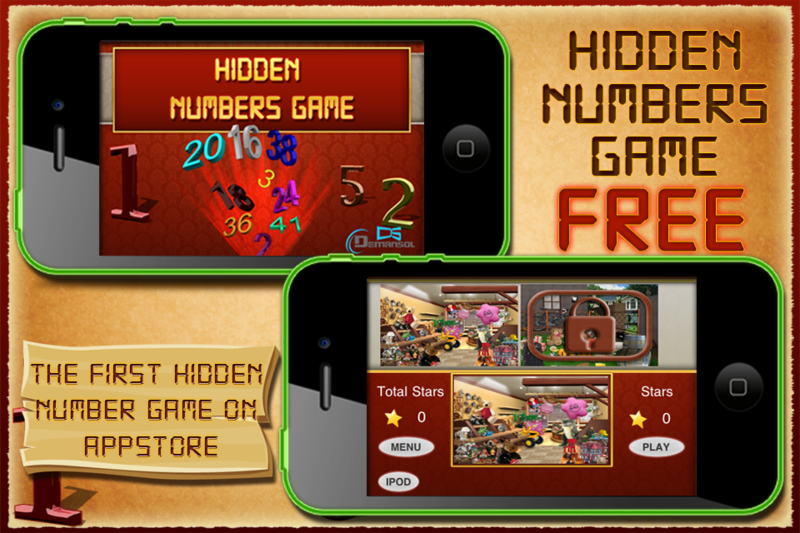 Find the numbers hidden inside the eye catching images. * Unique game at every try. * Choose to play your own background music during the play. * Create user-profiles and play as a different user. This game constitutes catchy images with numbers hidden in between them. The user has to find out only the required numbers from the list below. You can zoom In and Out by pinching and scroll Up and Down by swiping. This LITE version of game contains only 02 Chapters and each chapter is given a time limit of five minutes. 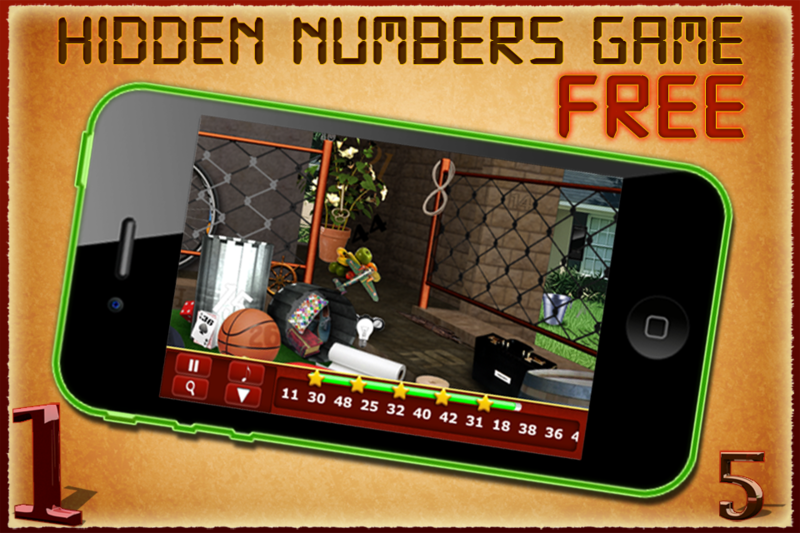 Every wrong tap to find out the numbers will reduce your time to play. To unlock the consecutive chapters, the user has to collect at least two stars out of five. You can also make use of the available Hint option to find out the required numbers but remember that you can use hint only once in a minute. Showcasing stimulating themes and fantastic graphics, you will easily get caught up in this detailed and real catchy seek and find game. 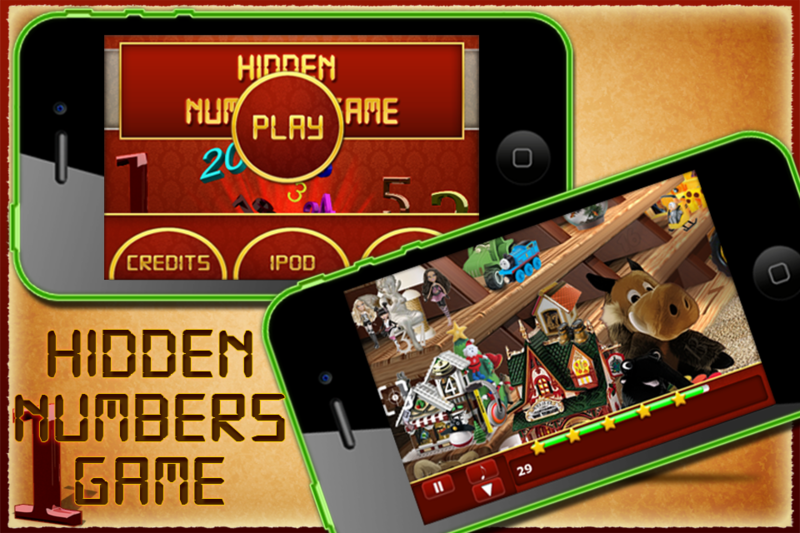 The app is projected to do well as it does apply to casual gamers across different ages. It should also appeal to young children as the graphics and the objects have been designed keeping them in mind. Choose your own background music from default iPod library and start your search of hidden numbers. 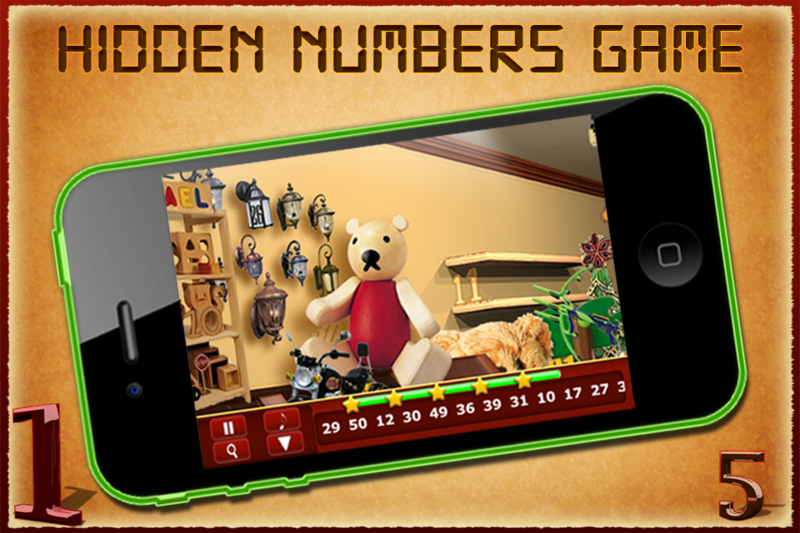 Try it out and we bet that you won’t get bored as every time you will have to find new numbers on the screen within a given limit of time. Minor change in button image.